Posted on July 14, 2017 at 1:13 pm. Sweetness goes a long way at Cuba’s newest business enterprise. It’s in rich supply in the delicious, creamy chocolate, peanut butter, caramel, even strawberry cheesecake fudge Meredith Doyle sells to benefit the Palmer Opera House in Cuba. Starting a business had always been a dream of the SubCon employee, a dream she never stopped believing in. 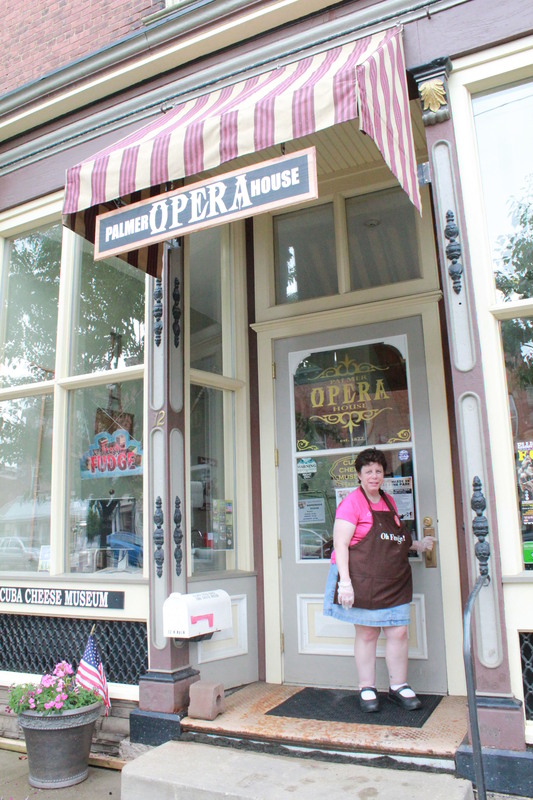 “It’s always been a dream of mine to have a business and I’ve always loved fudge. So it’s a perfect match,” she said, adding she continues to work three days a week at SubCon. 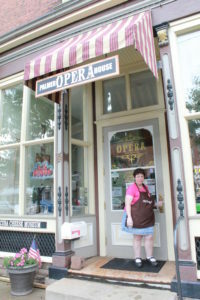 She talked the idea over with her parents, Connie and Michael, who assisted with the purchase of the fudge kettle and other items needed to open the fudge shop in the Opera House.